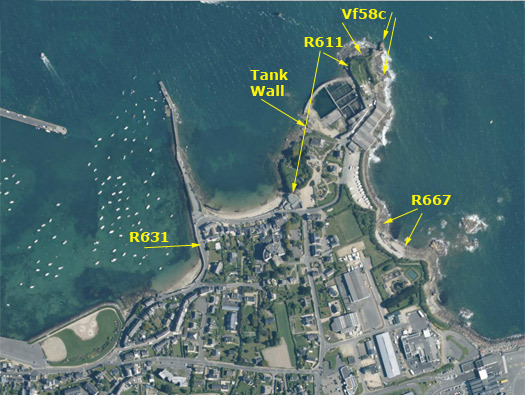 Mo94 Roscoff pointe de Bloscan, K.V.U. 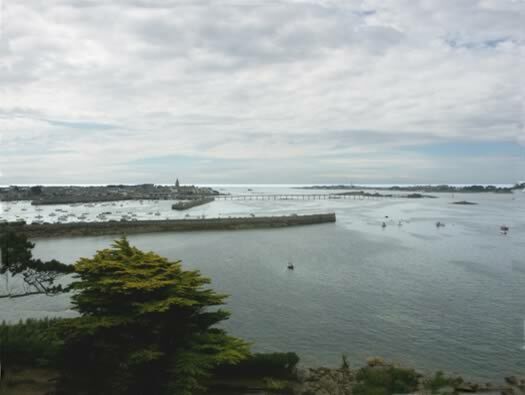 Gruppe Roscoff, Brittany. 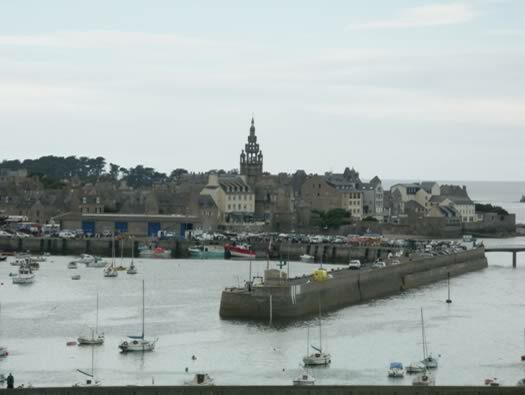 Roscoff is the furthest port on the north west coast of with sailing links now to Ireland and Plymouth. 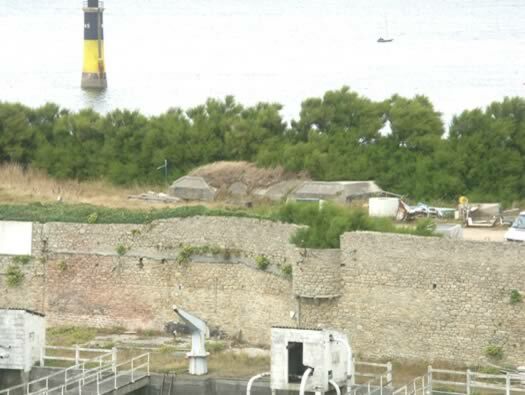 The old port is protected by a French fort that was strengthened as part of the Atlantikwall. 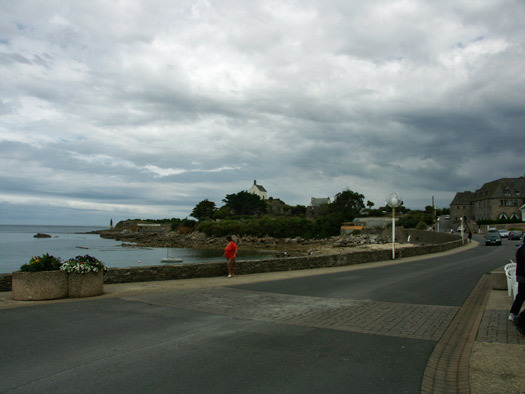 We visited the town and walked around the bay from the old town to the fort. 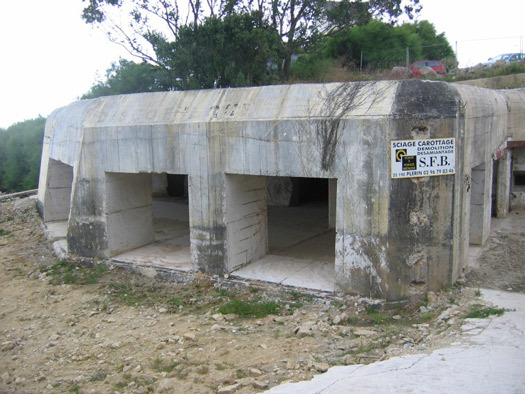 1 x R661/Sk casualty assembly bunker. 1 x R627/Sk Artillery observation post. 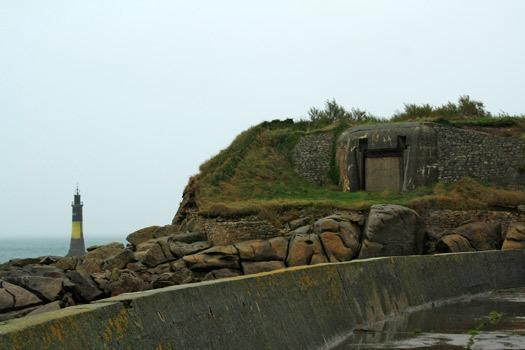 1 x R634 six embrasure turret bunker. 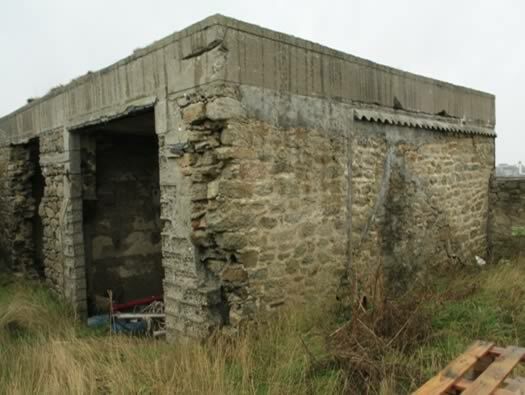 1 x R501 group shelter. 1 x R621 group shelter. 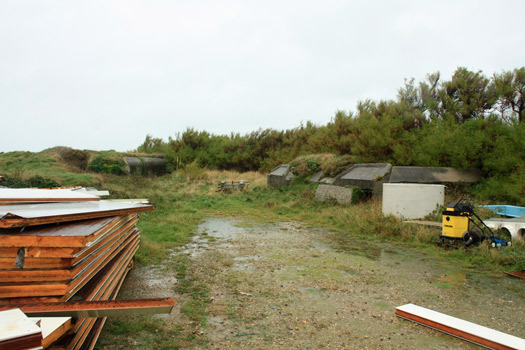 2 x R667's casemate for a 5cm KwK gun. 4 x Vf67's Tobruk for a Pz.T. FT17 MG331(f). .
2 x 5cm KwK L/42. 1 x 4.7cm Pak K.36(t). Vf67 Tobruk for a Pz.T. FT17 MG331(f). 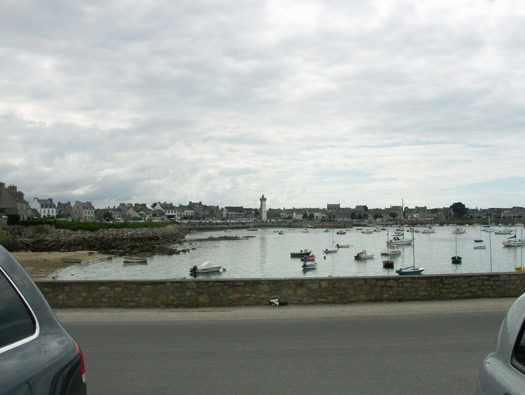 The old port of Roscoff. 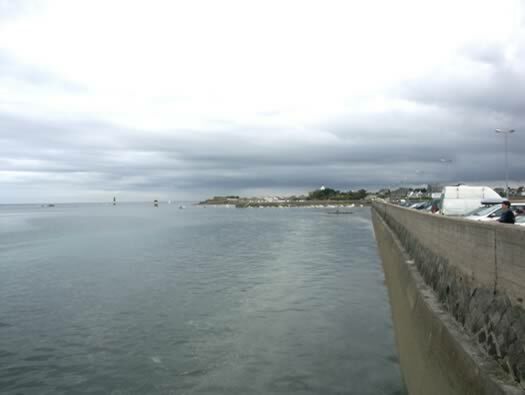 The sea wall & fort. 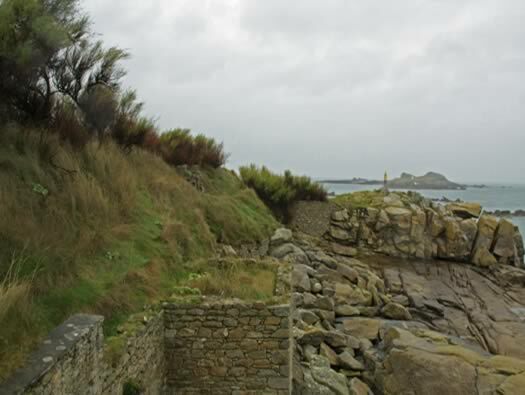 The view from the old town towards the fort on Pointe de Bloscan. 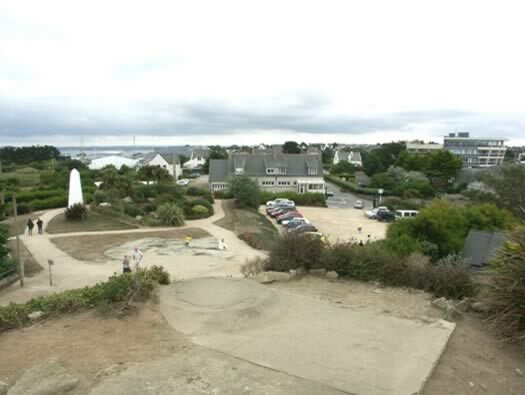 The defence area of Mo94 is at the pointe. This area was garrisoned by Inf. Regt. 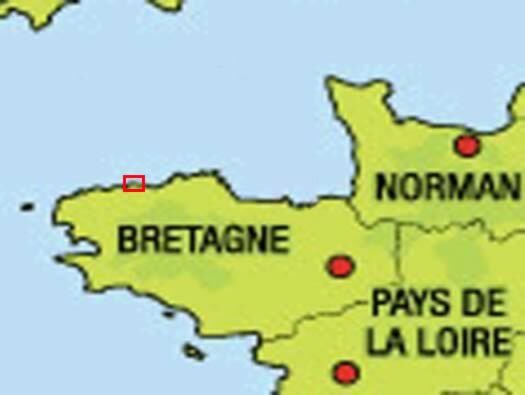 100, many left as the Americans advanced west and helped in the defence of Brest. 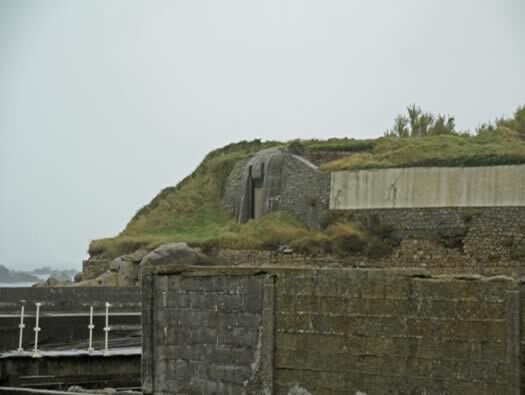 Walking around the bay I noticed the first bunker on the right an R631, embrasure emplacement for a 4.7cm K36(t) Skoda A/T gun with a co-axle sMG37(t). 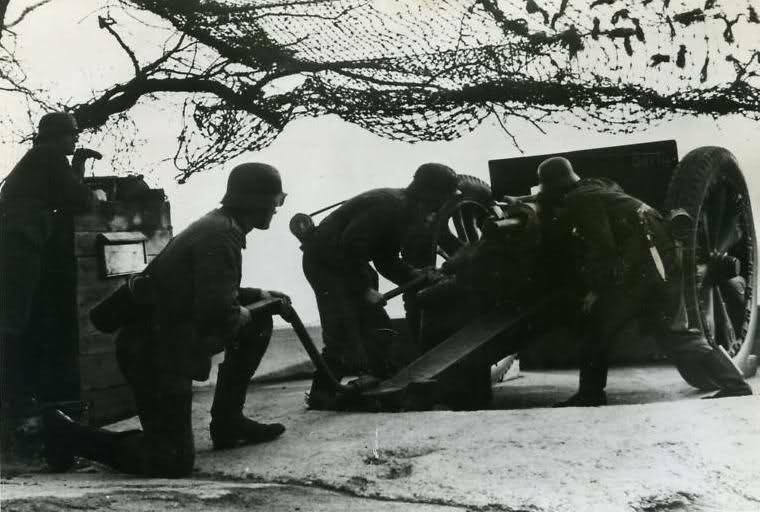 A 4.7cm K36(t) Skoda A/T gun with a co-axle sMG37(t). There were three Pz.T. FT17 MG331(f) turrets in Mo94. R667 for a 5cm KwK Pak gun. R631 casemate for a 4.7cm K36(t) Skoda A/T gun with a co-axle sMG37(t). This is how it looks today on Google earth. Crenellations have been removed. The distinctive crenellation camouflage around its roof. An original photo showing the crenellations. 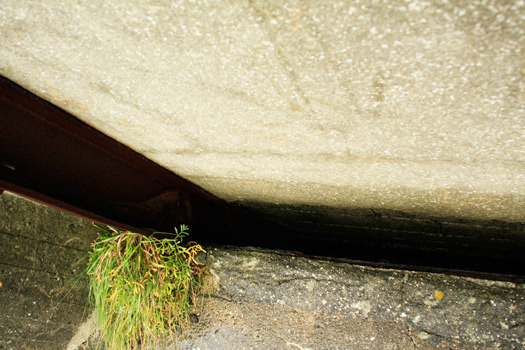 R631 4.7cm Pak K.36(t) casemate. 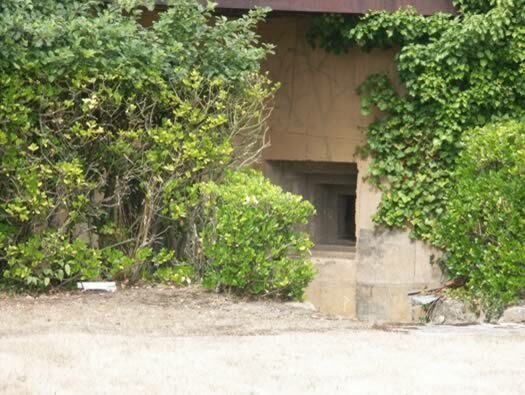 The entrance door is behind the bush and you would have to pass the close combat embrasure where a machine gun could give cover to any body trying to enter. 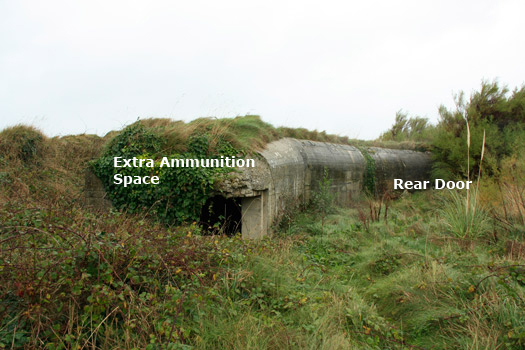 A 483p2 close combat embrasure. Gun room at another casemate. Close combat embrasure and you can just see the door to its left. Crew room of another bunker. 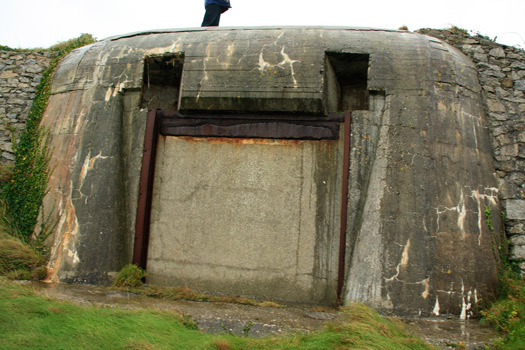 R631 casemate for a 4.7cm Festungspak(t) gun (counter clockwise) Close combat defence room, Gas lock & entrance, Crew room, Ammunition room, and then Gun room. 4.7cm Skoda gun from the rear. 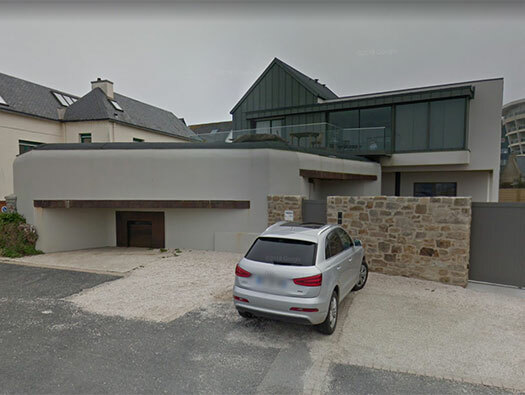 Skoda bunkers gun room in another bunker. Ammunition room of another bunker. The steel door is nearly in the closed position. The plate at the front could be drawn up over the gun to protect it from direct fire. Skoda gun and crew with the gun commander stood looking through a slit to the right of the gun embrasure able to locate targets fore the gunner to fire at. The plate covering the gun. Ball joint gun embrasure mounting. This is the ball joint fitted to the gun. 4.7cm Pak (t) Skoda MG 37 coaxial machine gun. The field of fire from the main gun. The view from the Tobruk on the roof. 2 x R611 casemate for a 7.5cm F.K.38 field gun. View across to the second R611 & the fort (yellow circle). (Red circle) the first R611. 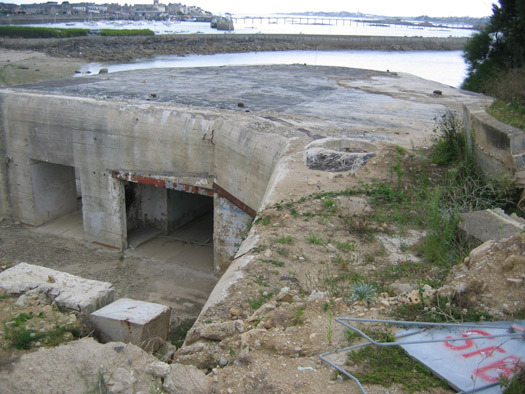 R611 casemate is a very interesting one. 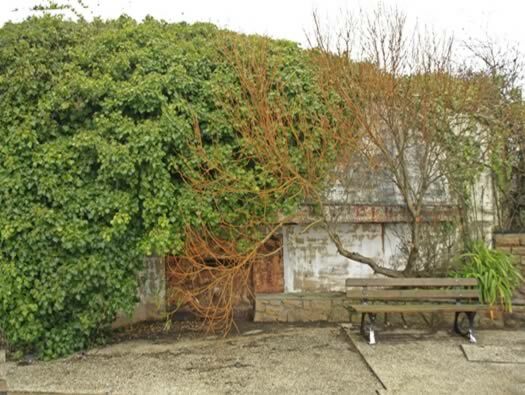 It has a gun room with a passage, two doors at the rear for a field gun to be brought through, shell & case room magazines, large crew room with periscope, gas lock & close combat defence room. 494p2 large double door the type that may have been used here. R611 casemate for a 7.5cm F.K.38 field gun. 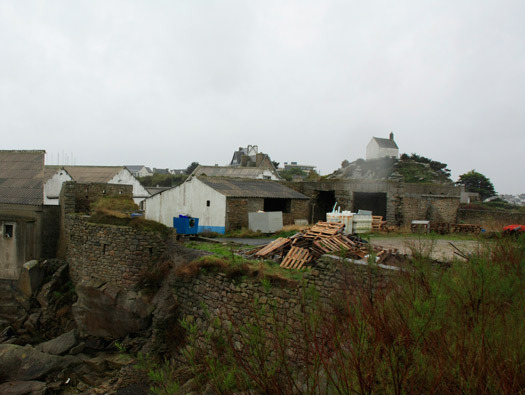 This photo was taken in November 2009 and conversions are going a pace now. R611 casemate for a 7.5cm F.K.38 field gun. I found these two photos in my archive, I have no idea where they came from?? but somebody has a new use for it. 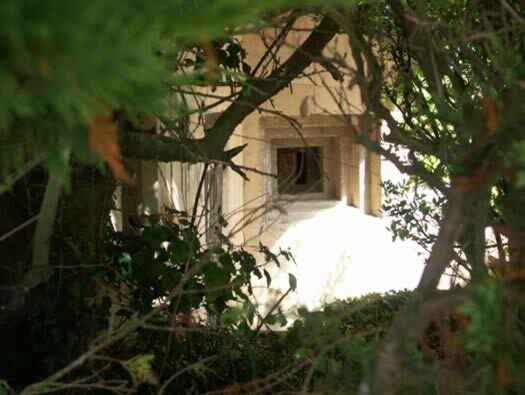 looking from the rear door to the embrasure at the front. R611 casemate for a 7.5cm F.K.38 field gun. The rear entrance into the R611 with tank walls each side but the rear has been built onto. The blue arrow is where a periscope was fitted. 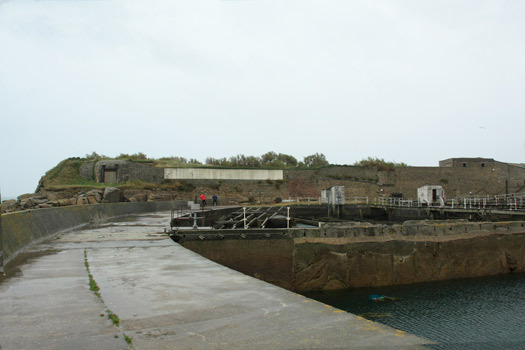 The old fort. Looking down from chapel hill into the fort, fish farm and factory & now almost derelict. 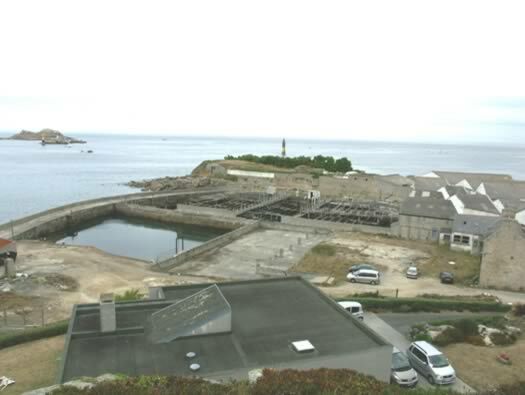 A view of the fort & fish farm pre Atlantikwall. Corpse de Garde now completely removed. The second R611 casemate for a 7.5cm F.K.38 field gun. 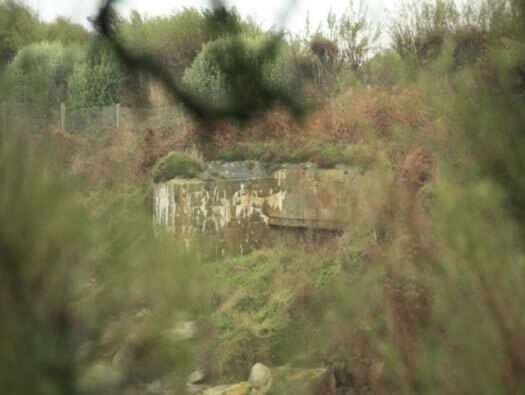 The H611 casemate is a very interesting one. 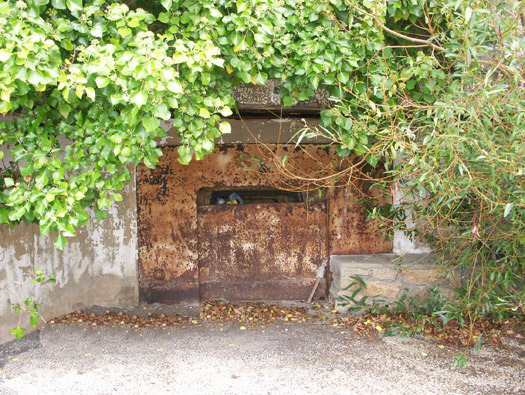 It has a gun room with a passage to doors at the rear for a field gun to be brought through. A shell & case room magazines. A large crew room with periscope. Gas lock & close combat defence room. 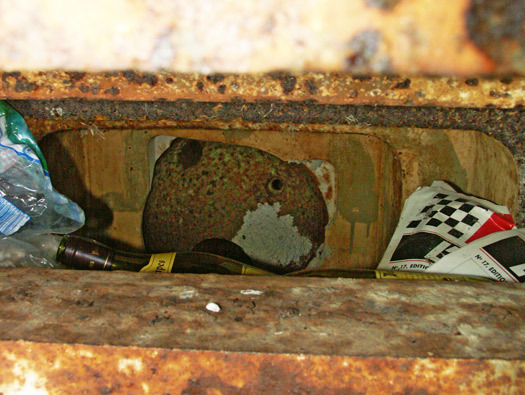 This is where the metal plate could be drawn up over the embrasure to cover the gun. This R611 has an extra ammunition room added to the side. The area the gun could cover with Ike de Batz in the distance, also note the loops set into the rock to hold down barbed wire. Wn Mo 101 to Ma107. 2 x 5cm KwK Pak's. The second R611 at the back with an extended ammunition room added and the rear door further up. 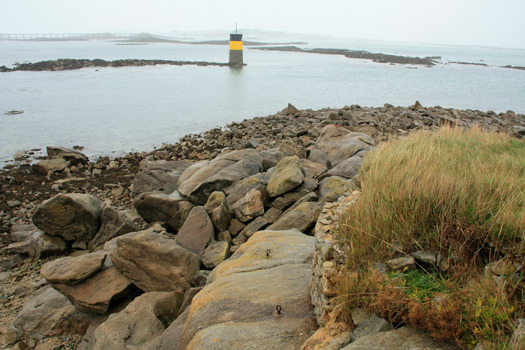 Section Mo94 Roscoff pointe de Bloscan. The second R611 the telephone insulator arms are still in place. A set of Vf shelters. Trench running back from the gun on the right. Vf = Verstarkt FeldmÃ¤ÃŸig (Reinforced in field). 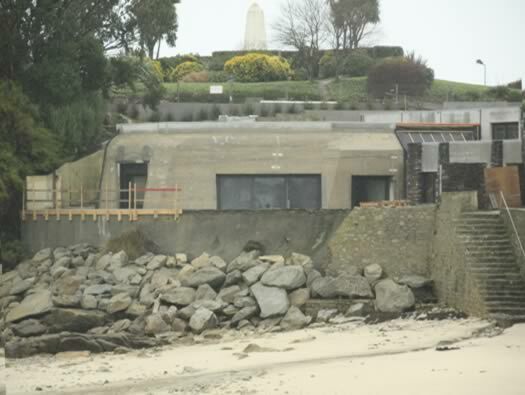 This bunker has two entrances either side but there is no way in without moving years of rubbish. These could be a small command post. A set of Vf shelters. The view down from the Chapel. I have seen this Tobruk in lots of books and on websites and thought how I too would like to see it. Well I have and on the day I nearly fell off the wall going to see it as it was so wet and windy. A soldier looking down the sights of his MG34 in this Tobruk. Soldiers on exorcise defending the fort looking towards the light house. I stood taking this picture in rain and wind trying to blow me off the wall, but I got the photo. A then and now almost photo. Next time. Very wet feet. 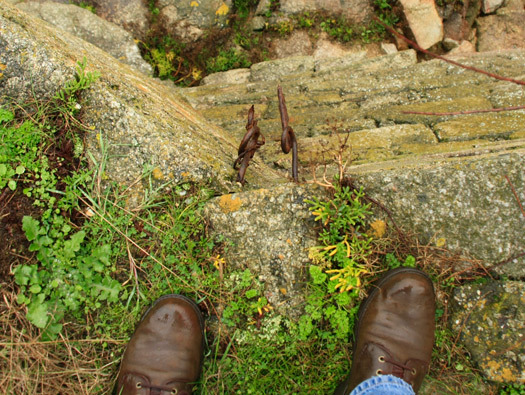 Screw pickets cemented into the old fort walls. Fort view along the front. 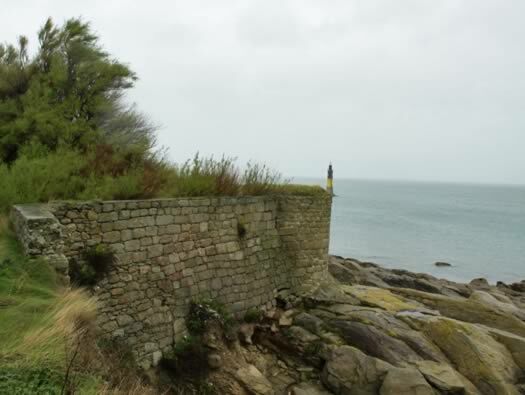 The seaward wall of the fort. 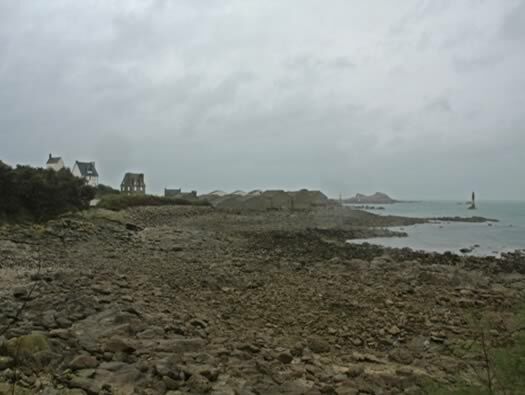 View back towards the chapel in the rain. 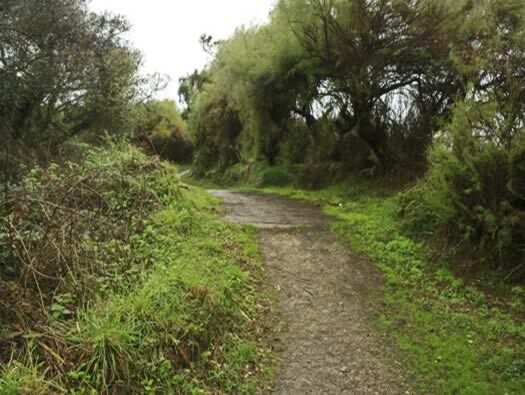 Looking back at the entrance to the fort. The Corps de Garde here, was a design of Vauban. 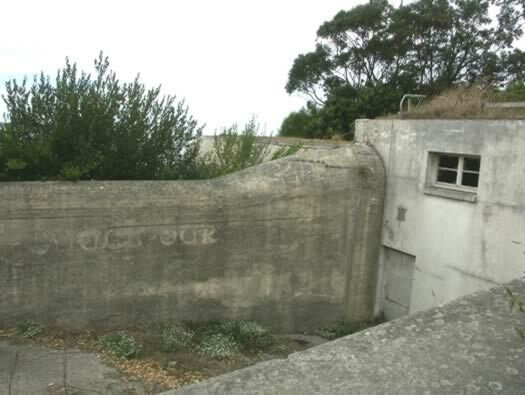 Reinforced old fort building. 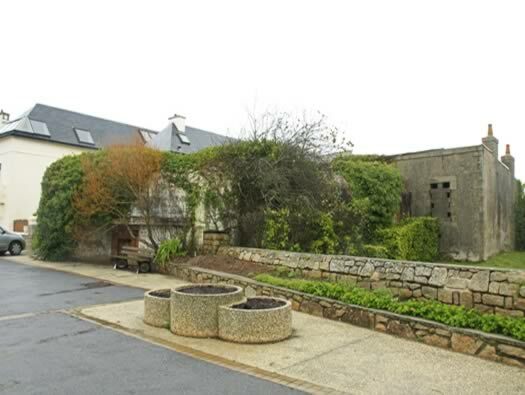 Most of the forts inner buildings have now vanished but these are the only ones left. Ammunition niche near the fort entrance. 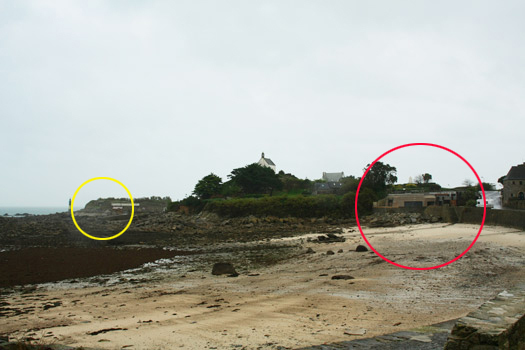 Looking back at where the Corpse de Garde once stood. 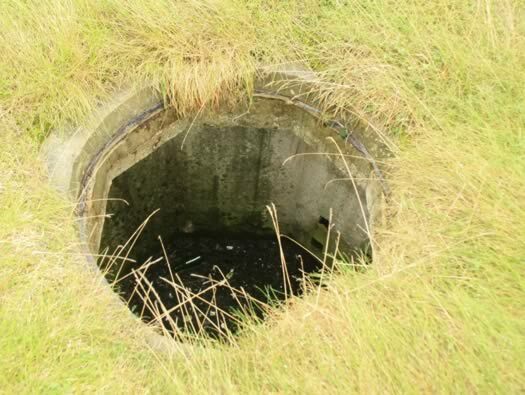 A bunker behind the waste material´s is a Feldm. Also there was a 2cm Flak 30 sighted amongst the rubbish. 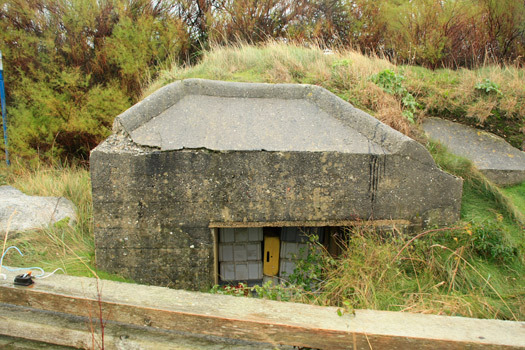 R667 casemate for a 5cm KwK Pak Gun. All you see is the roof section as the path goes over the top. 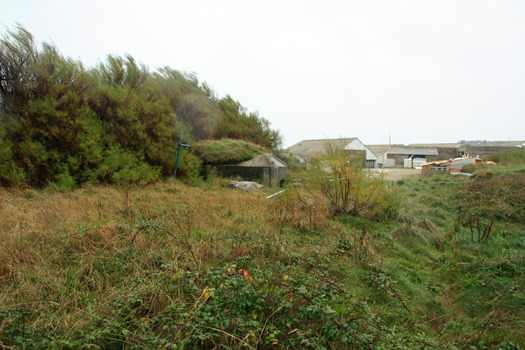 Along a path just behind the sea is a path with two R667 casemates for 5cm L/42 KwK Pak guns. 5cm L/42 KwK Pak guns. Its right down just above sea level. That would have made them very damp places to guard. This is the beach they were protecting. Why? On the Chapel Hill. A Tobruk Vf58c. 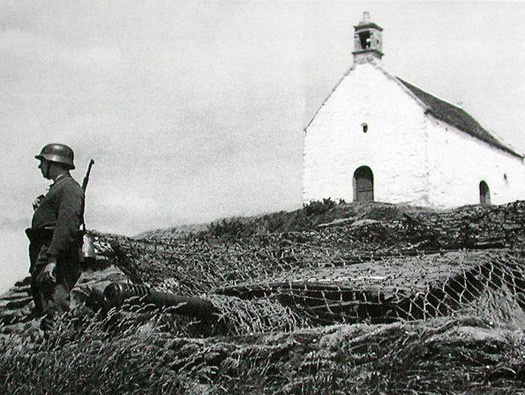 A contemporary photo of the Chapel and a 7.5cm Gun. 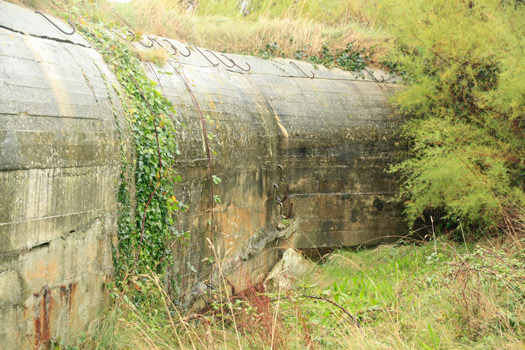 Dug in at the chapel is a 7.5cm gun that may have been transferred down into one of the R611 casemates? The view from the Chapel Hill. An other Tobruk in the flower bed. The chapel on the hill.